If you follow me on Facebook, you will know that I am in the midst of preparing to leave the Southwest (where I have spent most of my time in the US) to move to the Pacific Northwest. 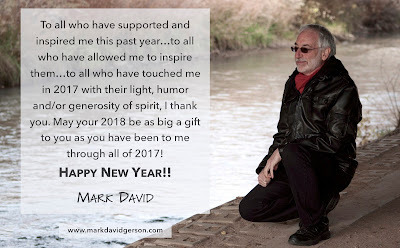 As I have done so many times in the past (and have documented in my Acts of Surrender memoir), I am leaving with very little as I once again launch a new life for myself in a new place. I don’t know what awaits me in Portland. All I know is that the call to move from the stark, monastic beauty of the high desert to the lush luxuriance of river and forest is one that I cannot ignore...even as it requires me to take what feels to be the greatest leap of faith I have ever taken. And I have taken many! 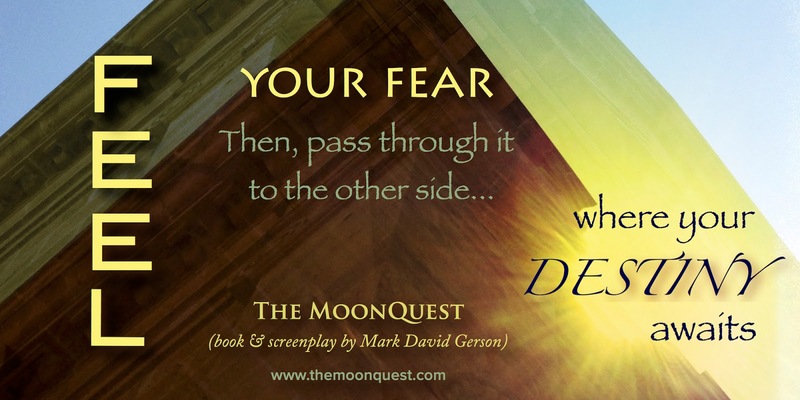 From the first big one, more than three decades ago when I left my hometown, until the one that returned me to Albuquerque from Southern California seven years ago, each major leap has required more courage than the one before. Courage, of course, is not the absence of fear. It is the ability to move forward in spite of fear. 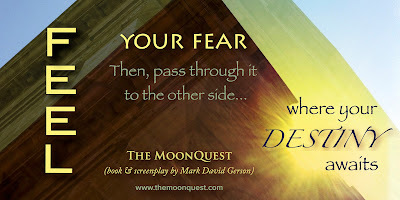 When in my first novel, The MoonQuest, Toshar is called to feel his fear, then pass through it to the other side where his destiny awaits, his fear-to-destiny journey was mine. With each of my leaps into the unknown, the "destiny" that has awaited me has been nothing that I could have (consciously) imagined. A new life in a new country? I never (consciously) wanted to live in the United States. A wife and daughter? I was a gay man with no (conscious) interest in parenthood. A teacher, speaker and coach? Not (consciously) interested. Fifteen books (and counting)? Hell, back in my teens, writing was the last pursuit I would have (consciously) chosen! This next leap, my move to Portland, will be no different. As my stories do in the writing of them, my new life there will reveal itself to me in the living of it. As with my books and stories, I have no outline or game plan for Portland. I have a place to land – for a month, at any rate – and the rest will make itself known in the same magical, miraculous, synchronistic way that my life and stories have always unfolded. 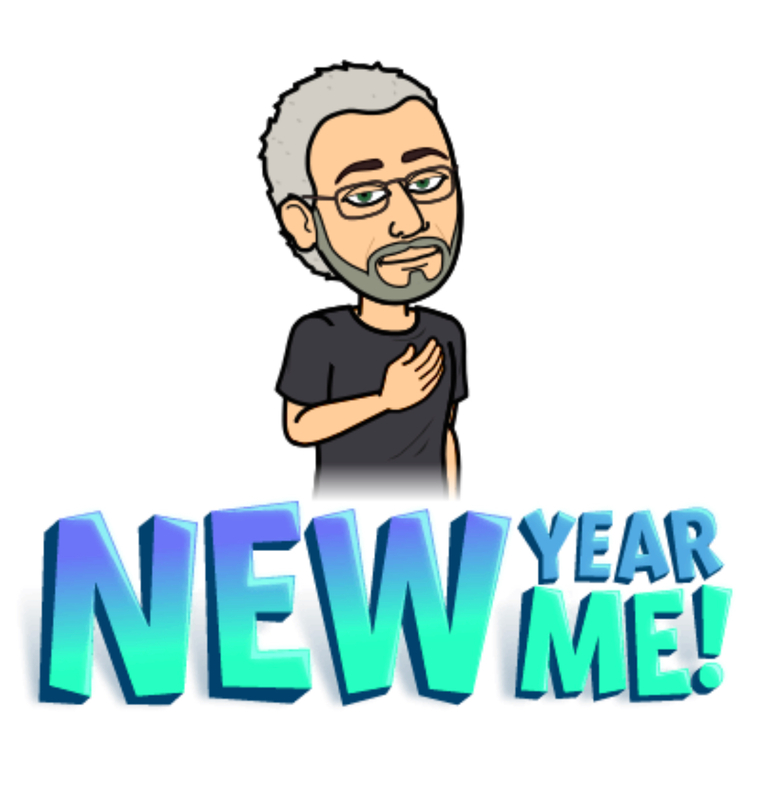 Yet even as I surrender into the unknowingness and unknowable of what lies ahead, I still enter 2018 with certain hopes, desires and intentions (in as detached a way as I can manage!). On a professional front, these mostly revolve around both my own storytelling and my work helping others with theirs...helping you with yours – as a teacher, facilitator, coach, mentor and catalyst. These are my passions, and I look to 2018 and my presence in Portland to fire them up, express them and get them out into the world – to you – in new and exciting ways. By the way, "stories" can take many forms. If the written form is the most literal, it's not the only one. A story can express itself on an artist's canvas, on a potter's wheel, on a composer's notation paper, through a photographer's viewfinder or on a filmmaker's reel. It can express itself on a stage, on a screen or in a studio. It can also express itself in a kitchen or garden, or in a workshop or machine shop. More than that, even, it expresses itself every day as the story of your life. How it will express itself in my life as I take my leap of faith into this next phase of my journey remains to be seen, even as I have little doubt that continuing to tell my stories and to work with you to help you tell and/or live yours will remain an integral part of it. However it plays out, I hope that you will remain an integral part of my story and that I will also remain an integral part of yours! The year just ended was a challenging one for many. May this new one usher in an end to fear, dread and struggle. May it be a year of renewed hope, rekindled optimism and an abundance of joy, laughter and the fullest expression of your heart’s desire! 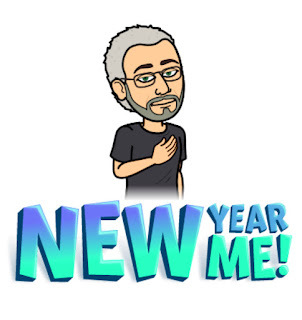 Happy 2018!! !